Hey guys, this is David from Hard Cases. Let me show you the Nanuk 935. All right guys, here we have the Nanuk 935. 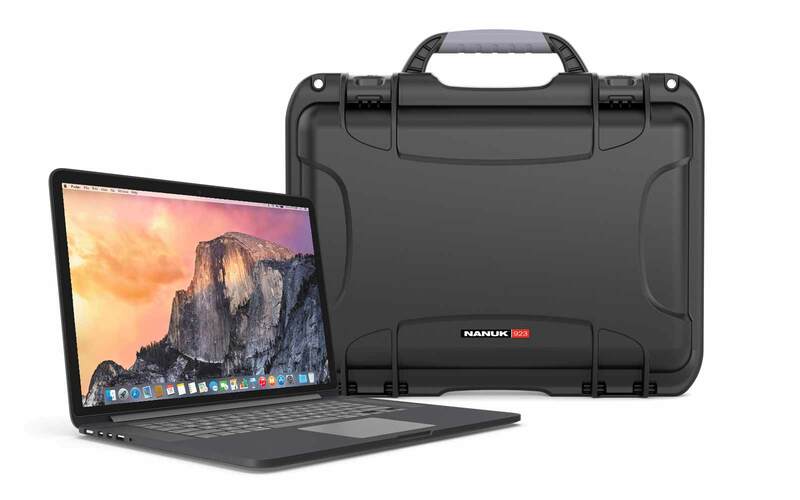 A really popular model, the Nanuk 935 is actually a carry-on model so you can take it on a lot of airplanes, just note that this case is actually 22" and companies like Air Canada have 21.5". 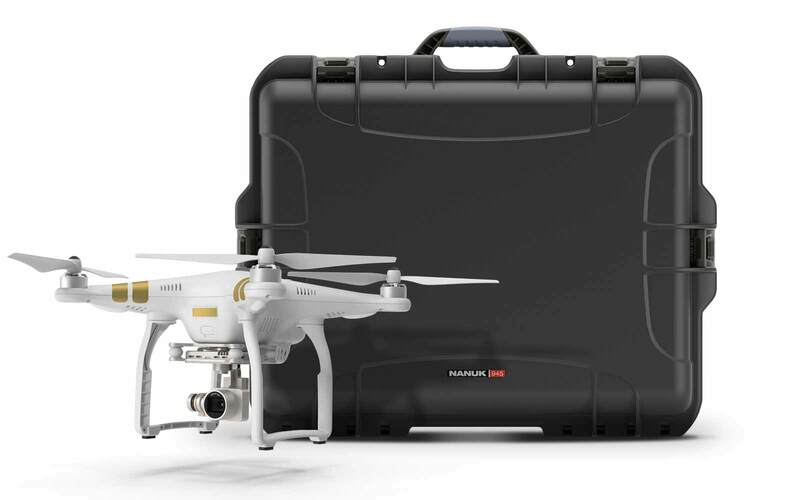 Let's go through these great features, so once again, the Nanuk 935 has those Power Claws right here. Two steps Power Claws. They open up and they won't move. They won't pinch your fingers. You push and then you bring it back and then they won't open if you drop the case on the ground either. What's cool about the 935 also, they have reinforced eyelets right here, so you have those metal stainless steel pins in there. You can easily put again that TSA little padlock in here, so if you get to have to put your case inside the luggage compartment, then you want to have these TSA padlocks that are TSA approved, so these guys can open up your padlocks with their special keys instead of cutting them up to search inside your case. The 935 has two main handles. One on it's side right here, so it's actually nice so you can bring it like this on the side. 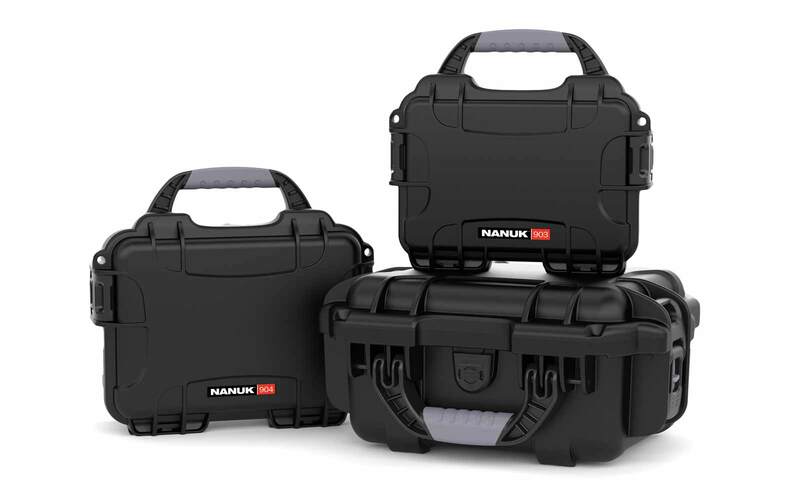 The front handle is actually just like the other Nanuk case, it locks down so you won't have anything moving. No moving parts on the case. Just like any good Nanuk, you're going to find the purge valve, which is nice because when you bring it on the airplane you want to have the pressure come out of that valve here so you can easily open your case because of the pressure that you can get inside the baggage compartment of any airplanes. Also, one of the great thing about this case are actually the wheels. These are polyethylene skateboard wheel style so they will be as good as long as you have your case retractable handle, so that one goes right here. You can have, pull it out once, pull it out twice, so you have a long handle, two steps, so you can just walk on with your case you know. Inside the case, Nanuk 935. This one is the foam option. Cubed Foams with all of these pre-cut little foams that you can easily shape to your liking using your fingers actually so you just drop in your fingers in there, pull out the pieces of foam. Keep the shaped squares and you wouldn't have, you won't have any problems actually, so you don't even have to use a knife to do this. There is also two pieces of foam in there. These are shaped because of the handle here, but it gives you two layers of space for different items, cameras, lens, and accessories underneath. You also have the bottom pad so if you go through your bottom foam part and then your gear is touching the plastic, this pad will protect your gear from any scratch or any impact actually. This, you also have top foam eggshell, so this one is also made so it protects your gear if there is compression in the case here, so if somebody or something is hitting on top of the case there, this eggshell foam will really protect that part of the gear also on top here. you have the rubber seal all around the lid here. 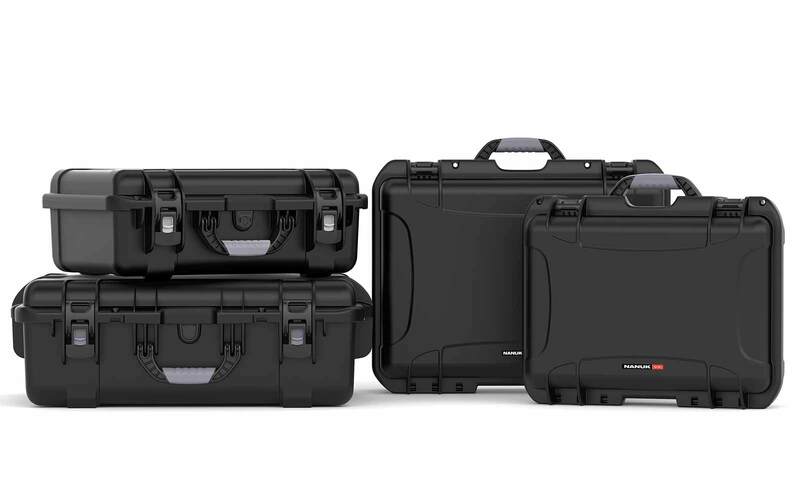 It will keep the water and dust out of your case, so this is a perfectly, a hundred percent waterproof and dust-proof case. What's cool about the 935 is also is that the lid can be removed. You have these little hinges here, also stainless steel parts, that can be removed completely just by pulling them out here so you can just either take the lid out and maybe have something in there, so maybe if you're a DJ let's say, you have your DJ kit right here, so you don't have a cover hiding you from your crowd or anything. You can also have a screen in there actually, so you could put in a screen with some bolts in there so you can have either your screen on the side, or you can have the screen in there and then a computer here or whatever you want to do with it, so these are little options that are available on the 935 which are really cool. The 935 also comes with the padded dividers, so basically the padded divider slides in there. 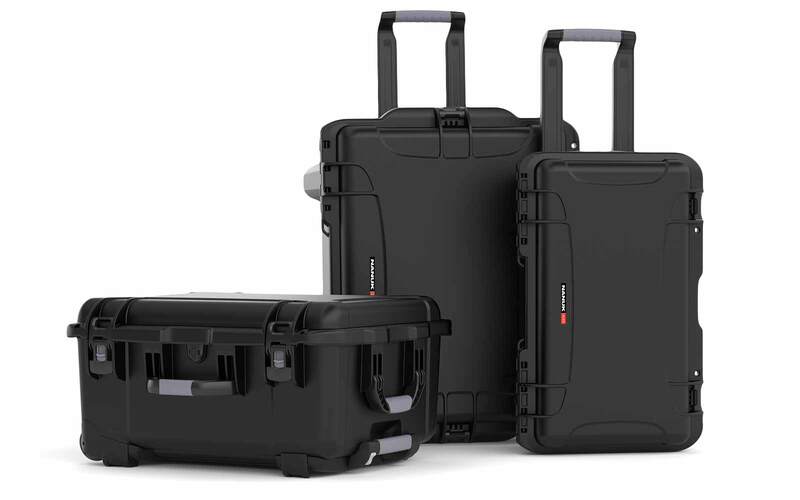 It's a really popular model, especially again for photographers and videographers who want to have a customizable case, so you have a lot of options to just switch smaller compartments or have larger compartments. This padded divider will fit easily two camera bodies and with a long lens with a few primes in there, maybe some flash and accessories, so this is actually a great case for travelling because you can have a full kit in there. 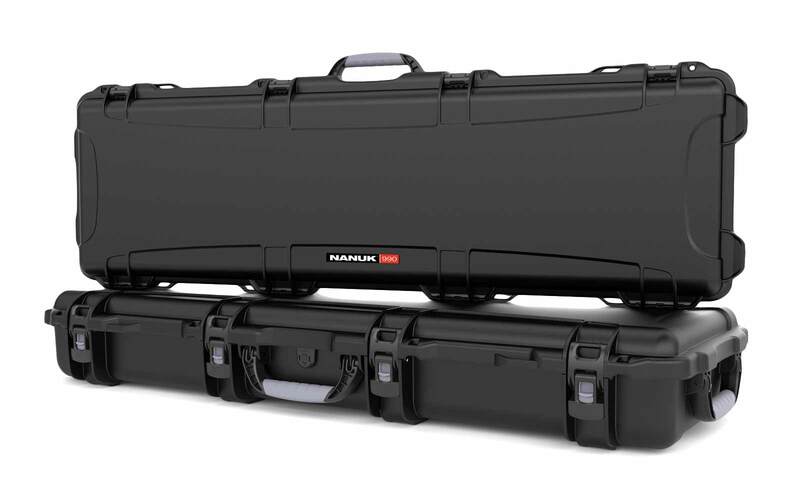 i have used hard cases from other brands - pelican and hprc, before i decide to buy my own Nanuk 935. i like its spring loaded top handle and button placement on retractable handle, which is very user friendly and intuitive; i don't have to look or guess where the button is. 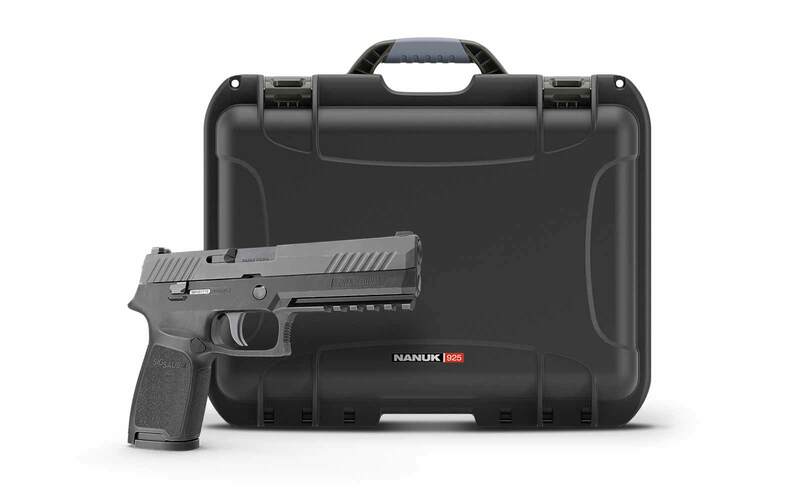 with the inward design of handle, i can stand the case up and rolling with one free hand in a second. i was on a job the other day with a friend who has a hard case from another popular brand. he described my Nanuk 935 as a sleek sports car, and his as a muscle truck. it's all personal taste and features that work for you best. i am a customer from Taiwan, and i am coming back for my second 935. David, the owner of HardCases, has personally taken care of my order and requests. Nothing beats a great customer service like this. Nanuk cases are all about the details! I’ve spent some time using the common 1510 case, but wanted something a bit nicer. The Nanuk 935 came through! Does the same job as a 1510, but with a bit of a nicer feel. The handle for one can be a bit clumsy on the 1510, love it on the 935, the handles are great! The handles have a great feel, rolls super smooth. The only downside is sometimes the latches lock themselves when they are open, which can be annoying when you go to close it. And the top handle rattles around as you roll the case, it can also be tippy as you are rolling it around. Overall a great case! Everything about this case is high end. They haven't skimped on anything. Well thought out and perfect for my needs. As well, big shout out to Hard Cases, absolutely unbelievable customer service. Have no fear buying anything from David, he will ensure you are 100% satisfied with your product and your dealings with Hard Cases. 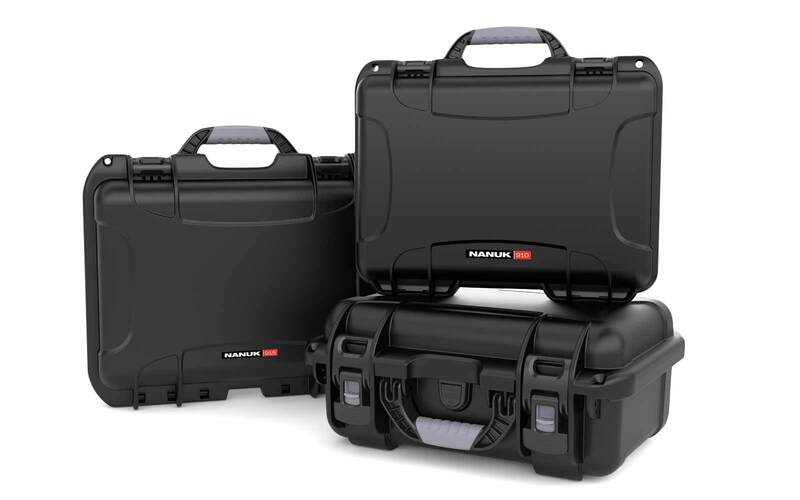 Can't say enough good things about him and his company and the Nanuk cases. Buy with confidence.